Regardless of industry or scale, every business is dependent on customer communication to some extent. Every organization needs to be able to provide a clear channel of communication in the event that their customers need to get in touch with them. Whether responding to queries, completing sales orders, or addressing complaints, businesses require an easy and streamlined method of managing customer calls. That’s where a contact center solution comes into play. Now, some small and medium-sized business owners may be under the impression that deploying a contact center is outside of the realm of reason. After all, aren’t they exclusively used by large enterprises that operate on a grand scale? This may be true for traditional contact center setups, but the advent and proliferation of unified communications and IP PBX systems have made contact center solutions a reality for smaller organizations. As SMBs come to realize that they too can enjoy the benefits of IP contact center platforms, demand for these solutions will only increase in the near future. UC service providers need to be prepared to meet that demand with high-quality contact center offerings. Writing for SmartCEO, Chesapeake Telephone Systems president Jeff Nolte outlined how today’s contact center services can benefit SMBs, noting that this technology can be instrumental in helping improve and maintain customer relations. Although these types of businesses aren’t dealing with the same call volume as large enterprises, the ability to quickly and effectively manage incoming customer calls is no less critical. Every missed or mishandled call is a missed opportunity to gain a new client, convince an upset customer from canceling services or simply improve relationships with existing customers. A high-quality contact center tool can drastically enhance this critical aspect of doing business, resulting in a healthier bottom line. One of the main reasons that contact centers have become viable for SMBs is that today’s best solutions are based in the cloud. Instead of having to install and manage hardware and equipment on-site, organizations can entrust those responsibilities to their service providers. 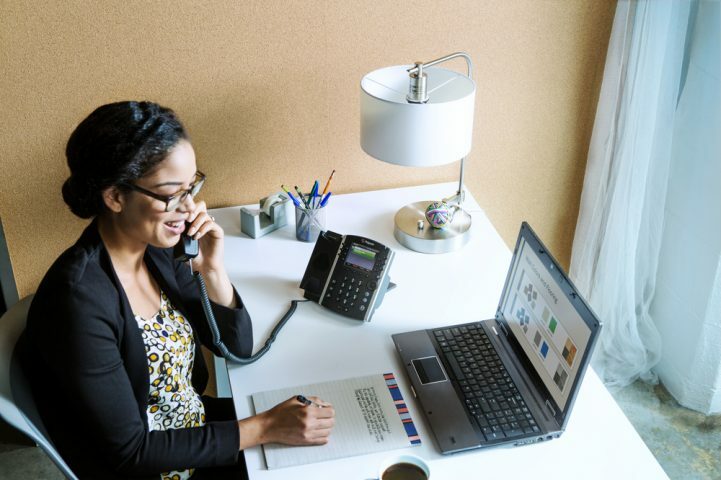 This means that SMBs can receive enterprise-quality contact center solutions at substantially lower costs, which is good news for both smaller businesses looking to improve their customer relations as well as their communications vendors. In addition to improving the overall customer experience, contact centers can also enhance agent productivity. As Nolte explained, cutting-edge software tools allow for the complete integration of unified communications features. This means that agents can communicate with customers through means other than voice channels. Whatever a client’s preferred method of communication is – whether it be Web chat, email or a traditional phone call – agents are set up to effectively engage them. In addition, various metrics relating to agent performance can be collected, giving businesses keen insight into the effectiveness of their customer service staff. Advanced integration – As noted above, high-quality contact center software should support UC integration, allowing various channels to connect and be used in tandem. Web-based portals are increasingly becoming the norm, as is support for agent mobility. When customer service representatives are not tethered to their desks, they can be far more productive. Another major feature to look for here is voicemail to email. Not everyone considers a phone call the primary means of communication anymore. This is especially true with younger generations. By having voicemail to email features, businesses can be sure that they’re able to contact individuals who would rather communicate online. Quality assurance capabilities – Business leaders need to know that their customer service staff is doing more than simply answering phone calls. Comprehensive quality assurance tools let them record service calls, track analytics as well as monitor quality of service in real time. Furthermore, organizations should look for a solution that offers unparalleled uptime and network architecture stability. This will help ensure that any network issues result in temporary irritations and not full-blown outages. Customizable call management – No two businesses are alike, so why settle for a prepackaged contact center that may not be entirely suitable? A contact center solution should offer advanced call management features that can be customized based on need. These may include automatic call distribution, auto attendant, queue-based routing and call parking. Service providers should take advantage of the opportunities out there to deliver contact center capabilities to a wide range of businesses. Thanks to the development of cloud-based solutions, advanced contact center features can be gained at relatively low costs, making them viable for smaller demographics. Local service providers can step in and provide those solutions to current or prospective clients, giving themselves a leg up on the competition.